orange monsters in the picture). PCI slots, again, with no contribution to cooling the  CPUS. 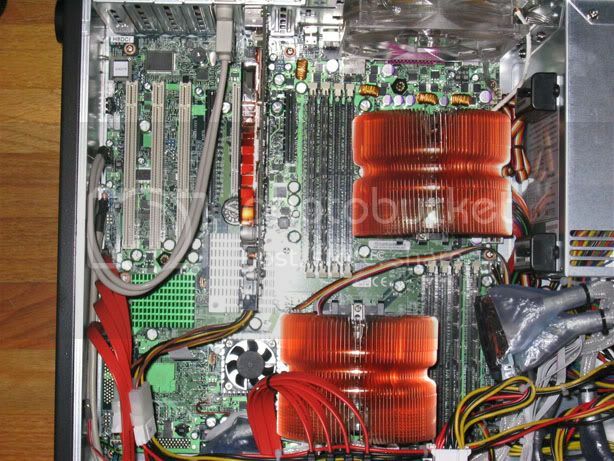 For comparison, here is a Rio-works  HDAMA motherboard which we have. all seem to be on ebay and those links could disappear at any time. the shield that normally goes around the jacks on the motherboard. The HDAMA machine is pretty darn ugly, but it definitely "breathes"
it can be purchased easily.